As your elected representative, I am working for you–the people of Cleveland Heights, to help make Cleveland Heights even better. Long-term Commitment. Since 1970, I have lived in Cleveland Heights, where my husband and I reared two sons. From serving on PTA to supporting many worthy community organizations, I’ve been involved in our City for decades. I ran for Cleveland Heights City Council unsuccessfully in 2009 and again, successfully, in 2011. With one four-year term almost complete (2012-2015), I expect that all I’ve learned will enable me to accomplish much more in a second term. Results Oriented. Thanks to four years of experience on City Council and my extensive experience in communications, marketing, management, finance and ethics, I can help make our community’s strengths and attractions better recognized and ensure that our City government is sound and efficient. During my first term, roads and safety improved measurably, residents and businesspeople invested many millions in residential and other buildings, and Cleveland Heights adopted leading-edge green zoning and was recognized nationally as a Bicycle Friendly Community. The City also increased transparency using electronic media. Forward-looking, Practical and Focused. While our City certainly has to deal with day-to-day issues, we also need to set the stage for a bright future. As we maintain this wonderful City, we must focus on charting a course to what we want to be in the years ahead. I will dedicate myself to moving the City forward as a vibrant, attractive community with excellent services, including fast and reliable police and fire protection, efficient trash and leaf pick-up, and recreational offerings for all ages. As an experienced business person with financial expertise, I can help ensure that City government focuses on fiscal responsibility and spending tax dollars wisely. I’ll use my communications experience to help retain and attract residents and businesses. I support development of a master plan and forward-looking strategic action plans that capitalize on strengths and create a sustainable future for our City as a healthy, active community. I will continue to promote preservation and improvement of our coveted homes, walkable neighborhoods and popular commercial areas. I spearheaded the successful application to have the Shaker Farm Historic District listed on the National Register of Historic Places and have supported listing of more Cleveland Heights historic districts. I will work with all Cleveland Heights schools for the greater good. Since 2010, I have promoted Walk or Bike to School Days to help students get the physical activity they need for good health and to help them arrive at school ready to learn. I worked with City staff to gain almost $400,000 in Safe Routes to School funds to improve infrastructure around schools and offer bicycle rodeos that teach safe cycling to kids. I am committed to engaging citizens by seeking out their suggestions and responding to their concerns. I’ve helped many residents resolve issues. I want to help residents find even more positive ways to engage with and help the City of Cleveland Heights remain the place to be. Cleveland Heights resident since 1970. Co-Founder (2010) and President, Heights Bicycle Coalition, dedicated to encouraging people to jump on their bikes and ride for most of their trips around town. Spearheaded efforts culminating in Cleveland Heights becoming nationally recognized as a bronze-level Bicycle Friendly Community in 2013. Led a successful collaborative effort to list Shaker Farm Historic District of Cleveland Heights on the National Register of Historic Places (2013). This included authoring the application. Member (2010-11), County Transition Team’s “Code of Ethics Work Group”, which developed an ethics code for the new Cuyahoga County Government. 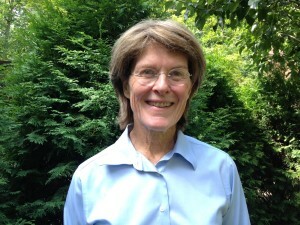 Member and sometimes board member, Smith College Club of Cleveland (1970-present). Member, President’s Council, Smith College, (2008-2012). Marketing Committee Member, United Way of Greater Cleveland (2008-2012). Member, Fairfax PTA. During my term as president (1980-81), enabled a reinvigorated assembly program and improvements that made the playing field usable. Member, St. Paul’s Episcopal Church, Heights Community Congress, Shaker Lakes Nature Center, Home Repair Resource Center, Heights Arts, Future Heights and more. Peace Corps Volunteer for two years in West Cameroon, West Africa. My students at a Roman Catholic boarding high school for boys achieved the highest pass rates on international examinations in chemistry and English in the country’s history. Senior Vice President, Dix & Eaton. Retired after 20 years with the firm. Assisted a wide range of public and private company clients in many industries with financial communications, marketing communications, crisis communications, community relations, media relations and public relations. Previously helped promote Ohio’s Thomas Edison Program to foster entrepreneurship and new business. Former board member of the Cleveland Education Fund, Cleveland Scholarship Program and Cleveland Council on World Affairs. Former national board member and chairman of the board of the National Investor Relations Institute, a 4,300-member (at the time) association supporting professional development, high ethical standards and transparency. During term as chairman, oversaw NIRI’s first-ever internal audit and implementation of corporate governance charters, internal controls and whistleblower policies. Also led search for a new CEO. Husband, Rob, is a professor emeritus of chemistry at Case Western Reserve University. Two grown sons live with their families in Hanover, New Hampshire and Yokohama, Japan.